There is a unique epidemic in churches today and I’m starting to realize this more and more as I work with pastors from many different churches. We like to examine statistics that position the church in a feeble position, gradually becoming obsolete in pluralistic world, but we fail to represent the leaders behind those churches who are struggling to stay afloat. 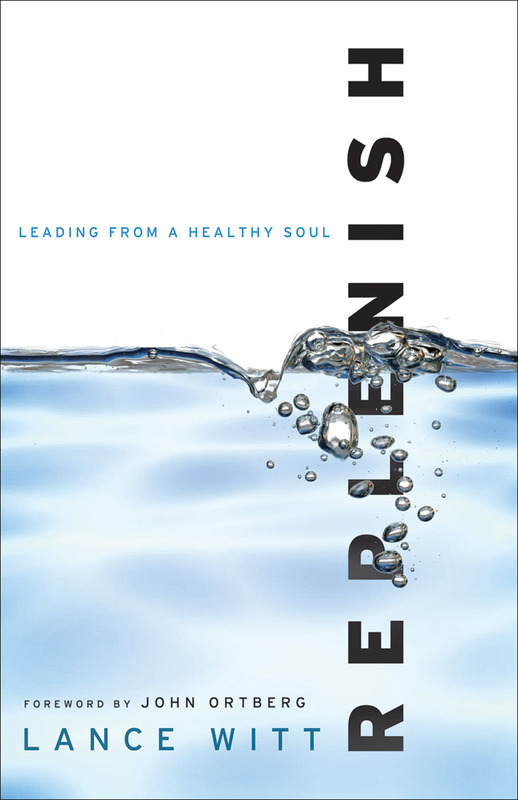 In “Replenish – Leading From A Healthy Soul” Lance Witt attempts to encourage pastors to examine their own lives and be better for the ministry. Lance Witt, often called the “pastor’s pastor”, is the founder of Replenish Ministries, a coaching and counselling service which directly encourages church leaders. Having served for over 30 years as a pastor, Witt demonstrates experience and concern for an over-looked problem within Christendom. With a clear passion and a tender heart for fellow pastors, Witt has developed a helpful resource for those hurting in the ministry. The book is primarily filled with conventional wisdom that Witt has gleaned throughout decades of personal struggle. He quickly addresses the high expectations of leadership and vision which many pastors fail to live up to. He makes a strong point that pastors need to grapple with: Are we called to serve God at the risk of our own spiritual health? I was greatly encouraged by “Replenish” because it addresses a concern that has hit me close to home. As a pastor’s kid, I grew up watching the daily stresses of the ministry, yet I still maintained a passion for serving God. After many years of serving Him in my own strength, and being at the end of my spiritual rope, I learned that God has not called us to serve Him, but to seek Him. Even with this realization, I found it difficult to maintain my own spiritual fervency while concerning myself with the sanctification of others. After my father resigned from the ministry for reasons of emotional health, I realized how truly important it is for pastors to focus on their own intimacy with the almighty. In this way, “Replenish” was both encouraging and challenging. Witt wrestles with many of the barriers which provide opposition in the ministry by addressing many of the misconceptions and by asking questions to determine motivation. In the end, Witt provides several useful suggestions on how pastors can stay on track and essentially be a better leader for those in their care. I say this is conventional wisdom because I don’t want to give anyone the impression that this is a well crafted argument from God’s Word. Witt is primarily speaking from encouragement and principles which he has gleaned, but he fails to provide authoritative examples from Scripture. Furthermore, “Replenish” is devoid of the essential precepts of spiritual renewal, mainly reflection on the gospel. It is not Witt’s intention to write a devotional, but instead he approaches it by gently teaching from his own experience. This is not necessarily wrong, but we need to be careful to distinguish the two. “Replenish” addresses a serious concern I have with the ministry today: pastors are over-extended and under-equipped for all that is expected of them. While not comprehensive or altogether conclusive, Witt does pick up the conversation in a way that addresses the concerns many pastors are facing in their ministries today. Still, it does not provide coverage for every angle and is not enough to effect the sort of change that is necessary within a system of misconceptions and unrealistic expectations. Seeing as how this book has affected me personally and has been an encouragement to my efforts in ministry, I would gladly recommend it to other pastors who are just getting started or are facing these sort of challenges. It may even be useful for pastors’ wives and deacons to get a glimpse into the often cloaked struggles that pastors go through. Gallery | This entry was posted in Religion and tagged book review, Conventional Wisdom, Encouragement, Pastors, Review, Spiritual Health. Bookmark the permalink.